The Arts & Culture Trust (ACT) has announced that artist and arts manager, Marcus Desando, has been appointed as its new CEO. “Marcus encapsulates the qualities of a passionate and visionary leader with a skill set to advance the Trust’s growth and development aspirations. We congratulate him on his appointment and we look forward to him joining the organisation,” says Chairman of ACT, David Dennis. Desando, who has been involved in the arts and culture sector as an artist and an arts manager since 1989, holds a Master in Management of Technology and Innovation from the Da Vinci Institute. He bids farewell to Gauteng Opera where he has been the Chief Executive Officer since 2013. “I am very honoured and excited to have been given this opportunity to add my voice to this wonderful institution that has, from its inception, worked at making the arts and culture industry of South Africa’s development a priority,” says Desando. Originally from Pretoria, he has been mentored by industry icons such as Angelo Gobbato, who instilled in him the duty and passion for the South African performing arts. This journey has seen him repositioning Gauteng Opera (formerly Black Tie Ensemble) as the premier opera company in Gauteng. His commitment to youth development in the arts, striving to empower new administrators and performers, has set him apart as one of the leaders who has his country‘s development in his focus. 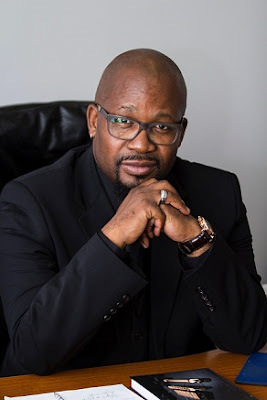 Artistically, Desando started his career with PACT in 1989 as a singer and in 1994 moved to Cape Town Opera (CAPAB) where his career as a director and principal singer started. As a singer he sang in over 75 operas, musical theatre productions and concerts in South Africa and abroad. He travelled the world singing and directing with New York Harlem Productions, Really Useful Company, Pieter Toerien Productions and Cape Town Opera. Desando has had the honour of being invited by University of Stellenbosch, Tshwane University of Technology, UCT: College of Music and UKZN OSCA (opera school) as a guest lecturer where he taught stage craft and also directed productions. His production of Rigoletto was recorded and televised by SABC 2. He has already directed over 40 productions and he is currently directing his last production (La Bohème) for Gauteng Opera as CEO. Desando will officially join the Arts & Culture Trust (ACT) on August 1, 2017.